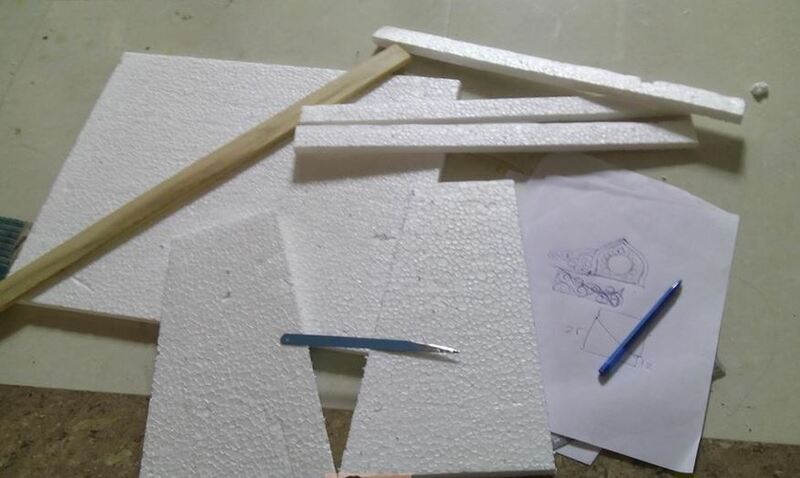 Here is a simple tutorial to help you make thermocol temple for Ganpati. Ganpati is a time for celebration, a time when every household is filled with devotion. Most of us bring Ganpati Bappa to our home and preparations for the same begin way before it. We clean our home, decide on the theme we want and plan the decor. Some of us buy decorative items and makhar for lord Ganesh from the market but many of us like to prepare them at home. 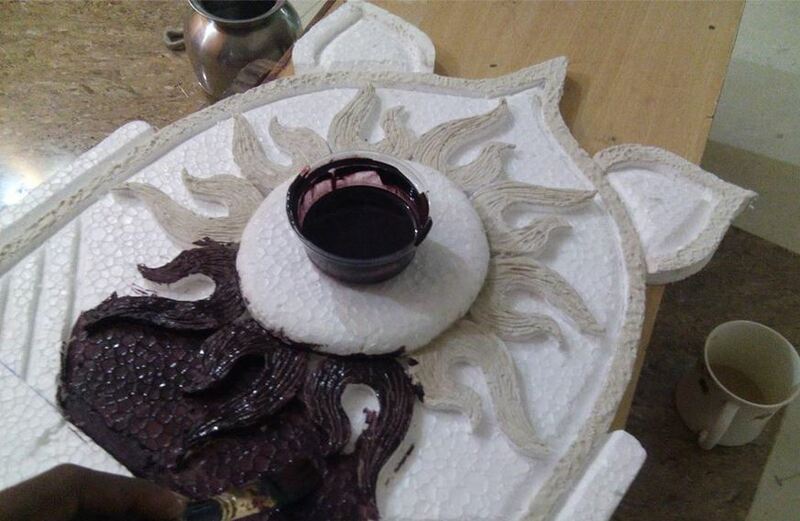 Check out our DIY tutorial on how to make thermocol makhar for Ganpati. Take measurements and decide the size of your thermocol pooja temple for Ganpati. Draw the design of the pooja makhar on a paper. 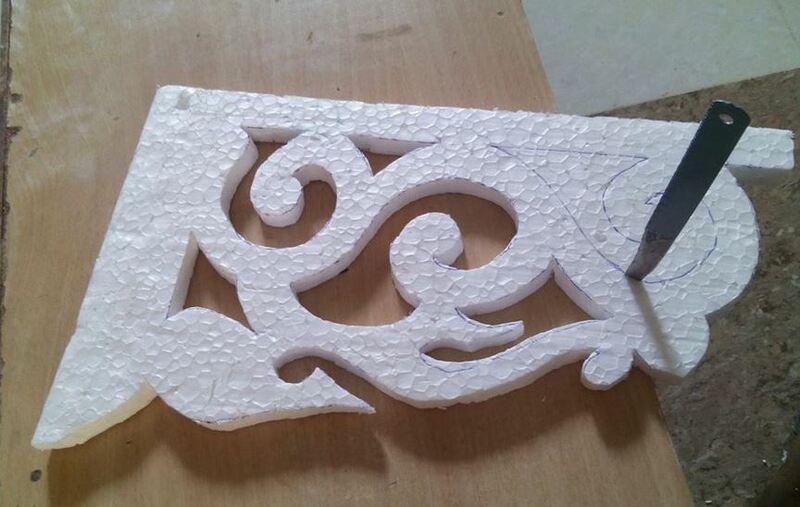 Use a scissor to cut out the design. 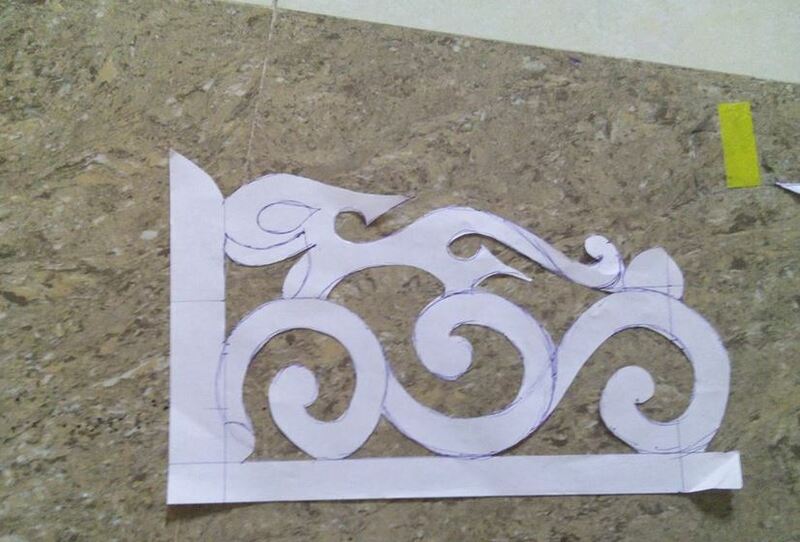 Trace the design that you made on the paper on to your thermocol sheet. 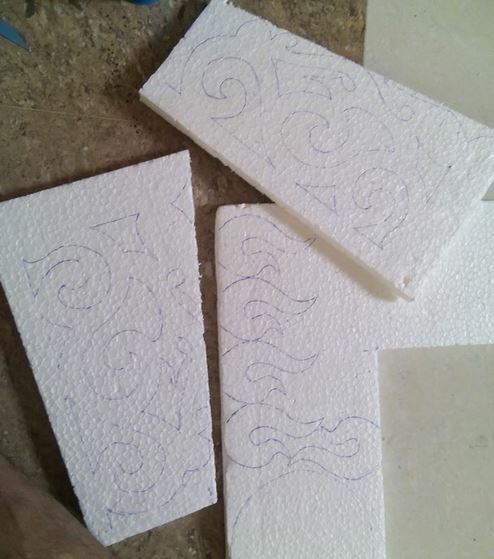 Use a hot knife or a thermocol cutter for cutting the thermocol sheet. Assemble the back of the thermocol makhar. Pin the cutouts on to it. 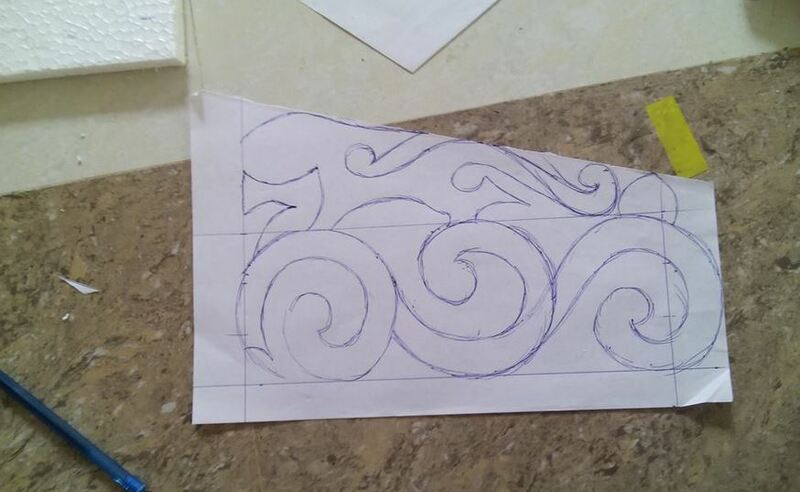 Carve a nice border on to it. Mix chalk powder, glue and water to make a paste and apply on the thermocol. 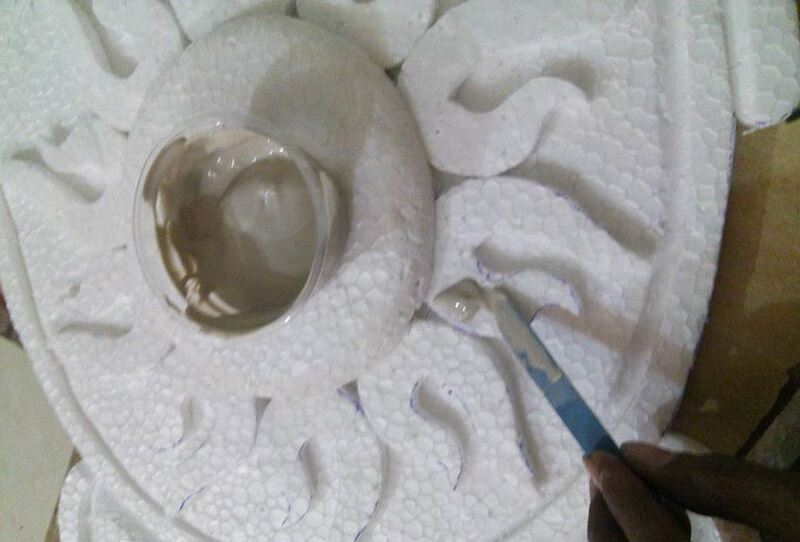 Let it dry before carving on it. Start painting, add a base color to your thermocol makhar for Ganpati. Add more color to your temple. 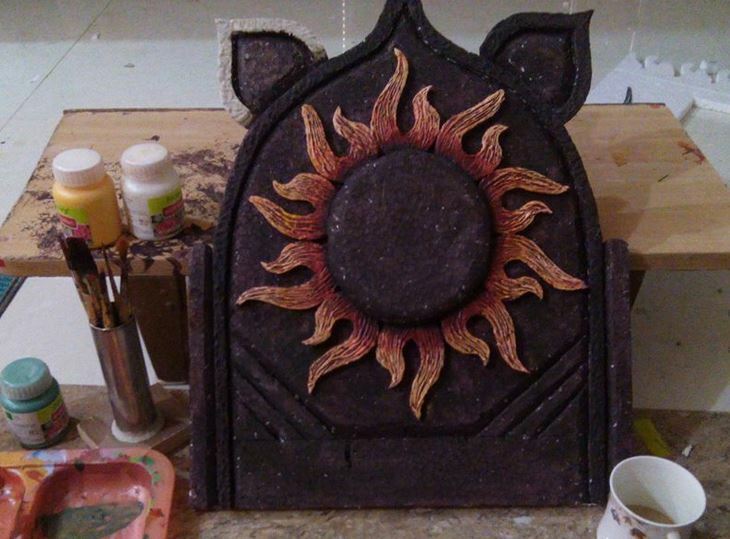 Let the first coat dry before adding more. 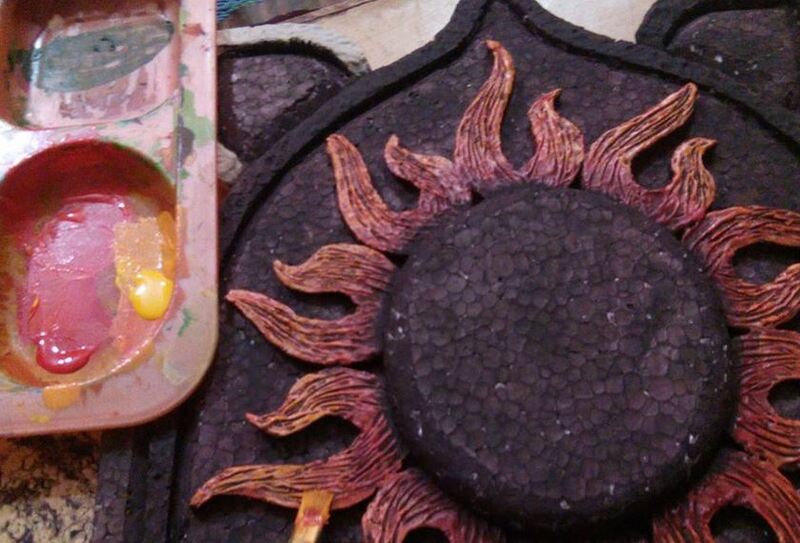 Color all the different parts of the makhar and then paste them together. Your thermocol makhar is ready. 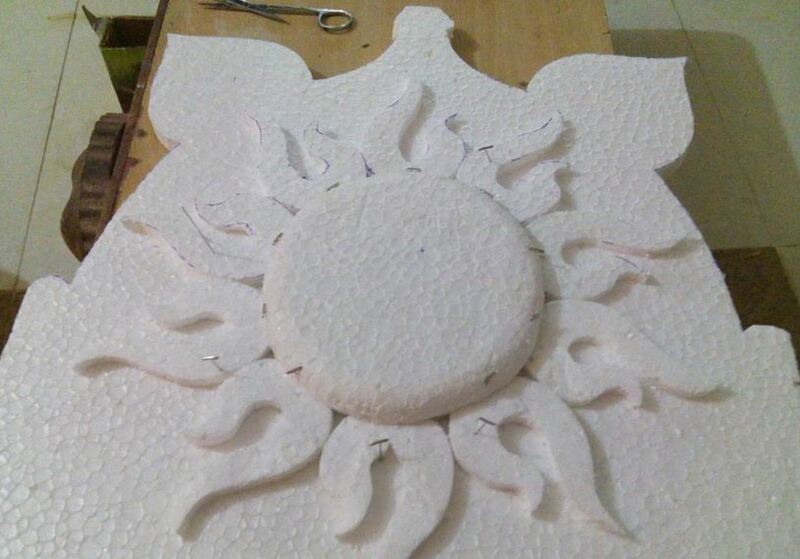 So, this is how you make thermocol temple for Ganpati. Do try this at home and have a wonderful Ganpati. 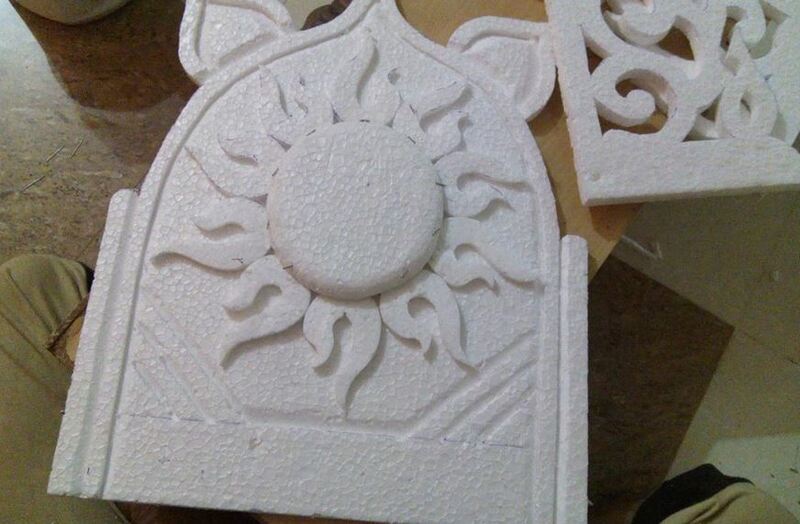 This entry was posted in DIY Crafts, Pooja Room, Pooja Room Designs and tagged How to Make Thermocol Makhar at Home, How to Make Thermocol Mandap at Home, How to Make Thermocol Mandir at Home, How to Make Thermocol Mandir for Ganpati, How to Make Thermocol Singhasan at Home, How to Make Thermocol Temple at Home, How to Make Thermocol Temple for Ganpati, How to Make Thermocol Temple for Ganpati at Home, Make Thermocol Makhar for Ganpati, Make Thermocol Mandir for Ganpati at Home, Make Thermocol Singhasan for Ganpati, Make Thermocol Temple for Ganpati, Thermocol Makhar for Ganpati, Thermocol Mandir Design, Thermocol Mandir for Ganesh, Thermocol Mandir for Ganpati, Thermocol Singhasan Design, Thermocol Singhasan for Ganpati, Thermocol Temple Design, Thermocol Temple for Ganesh, Thermocol Temple for Ganpati by Homemakeover. Bookmark the permalink. I am very much interested as I live outside of India it is hard for me to buy mandir but your site is very useful for me thank you and keep doing it. 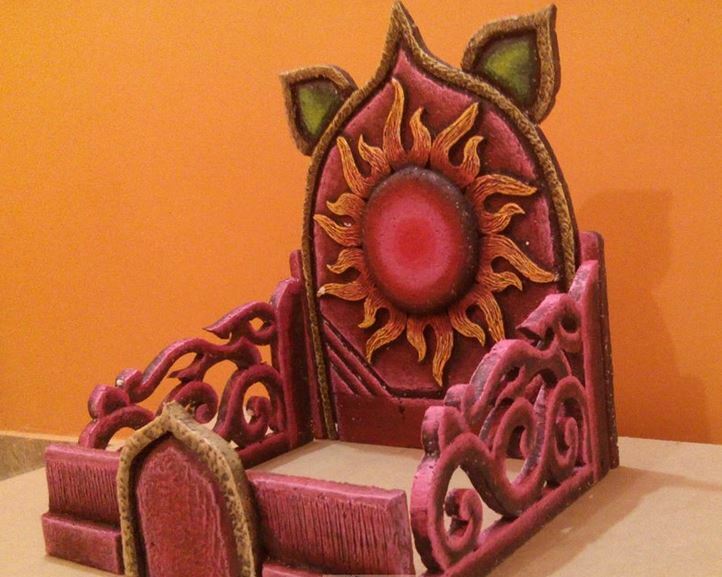 This is fantastic, I was looking for something which really has paid online, now in a couple of months the festival season will start, I will be creating some of these crafts for my own festival. Thank u all for making such a nice website to be used for people like me to create Ganpati decorations. 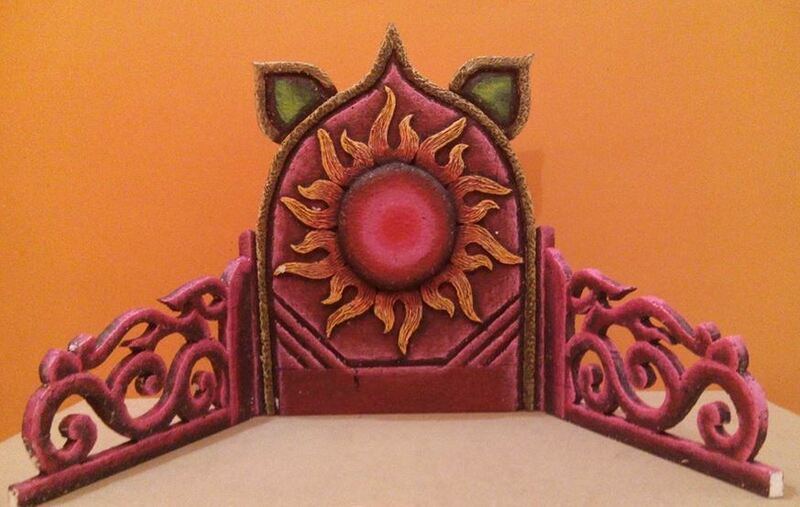 Hi, very beautiful and easy way to make a Malhar. I just have one doubt. Why do we need chalk powder and glue solution and in what proportion should we mix it. Thanks for posting this.